I tried my best this past week but I think TOM really proved me wrong and I am not feeling bad about it at all. I am growing into it and I believe with time things will work well. As I planned last week Wednesday, I did 5 days intermittent fasting 14:10, one day 18:6 and a 24 hour fast which ended this morning. I stepped on the scale this morning and I weighed 170.4lbs, I know it has something to do with TOM and some other factors I took note of like overeating during my eating window. When breaking the fast by 11am in the morning, my meals are planned and on point but by the time I get home at dinner, there is a feeling to stock my tommy. I am putting that into consideration this week, meaning just because there is a fast does not give room to eat just about anything. On the exercising front also, I did not lift a finger this week because I was just not feeling it (it's a bane). I am going to make sure to try my best this week to workout for the 7 days starting today, I still have my walk/jog challenge going on (I can change the days and settings at will, I hope I have not taken that for granted for too long). I believe these changes will bring some positive effects on the scale this coming week. 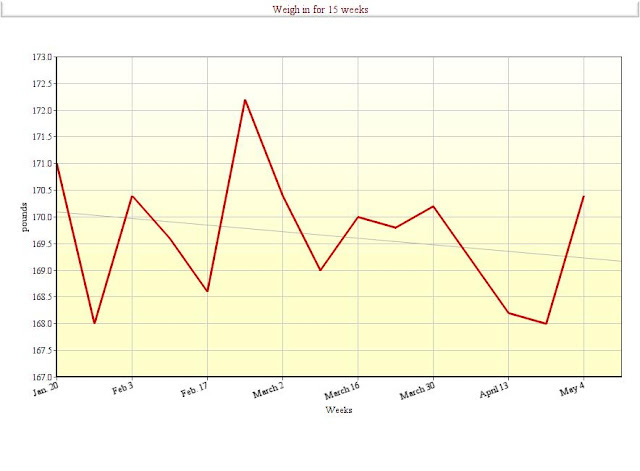 I really need to break this plateau since I know now that I am in one. 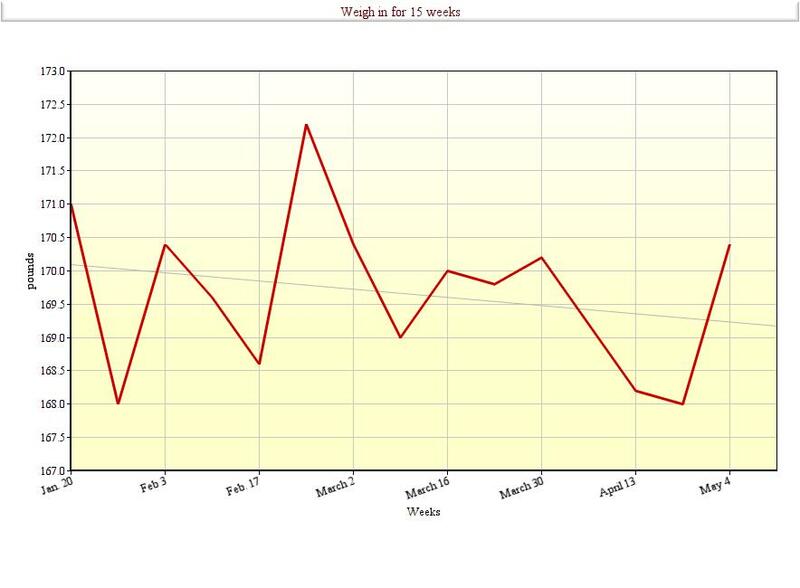 Below are my Wednesday weigh ins in a just concluded 15 weeks weight loss challenge. See you next week for another weekly review.